As Waikato’s Kitchen leader, Fraser assists with the three kitchens bespoke Menus and operations. He has spent the last 12 years supporting the company grow in its expertise of large complex food events and prides himself in a successful event. 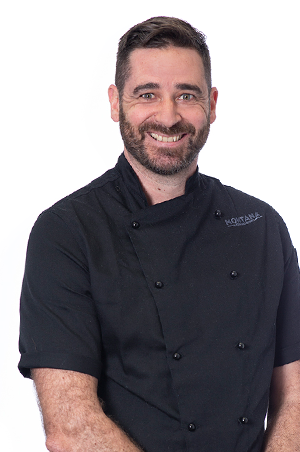 His experience has spanned more than 20 years, perfecting his trade at award winning New Zealand restaurants and luxury lodges, including Cibo Parnell, and Brooklands Country Estate, and Restaurants in London where he also worked for Auckland General Manager Troy Reid. Cody joined us from the restaurant industry in 2017, having been Sous Chef at award winning Palate Restaurant in Hamilton. FMG Stadium Waikato, Cody moved across to Claudelands Events Centre in the leadership role. With a genuine passion for using indigenous ingredients and flavours and applying them to modern techniques, Tim is a leader in this field. After spending time regularly creating bespoke menus to delight the University customers and clients, Tim was recently appointed as the Stadium Head Chef. Whilst trained in New Zealand, Tim has spent most of his career off shore in London, United Kingdom and Australia, returning to NZ to raise his family.